Really love both, honestly the first one (the condensed one) feels very poetic but I prefer the whole experience 🙂 Nicely penned! Yes, articles are an easy cut, generally. The poet in my example being important, since it refers to Petrarch. Oh, by the way, very nice photo. Thanks. Imagine how pretty it’d be a few weeks further along? I am longing to go back. It’s an interesting exercise, isn’t it? Thanks for stopping by, Lori. 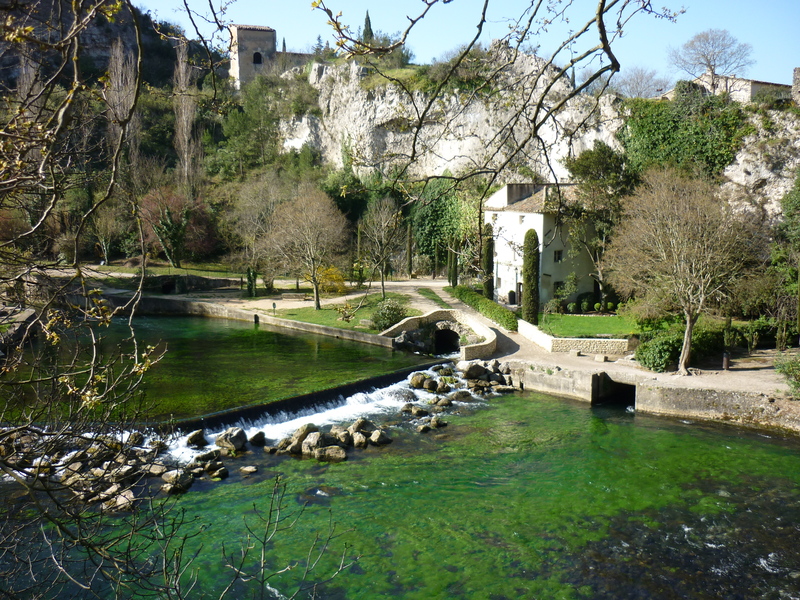 As with so much of Europe, Vaucluse is a majestic site, indeed! Where would we be, without Petrarch? fantastic. a wonderful exercise. they both have value. the first is more of an incantation methinkst. beautiful. thank you. My pleasure, Eric. Thanks for stopping by.